ESPN - Members of the U.S. women's national team and U.S. Soccer ratified a new collective bargaining agreement, both sides announced Wednesday. 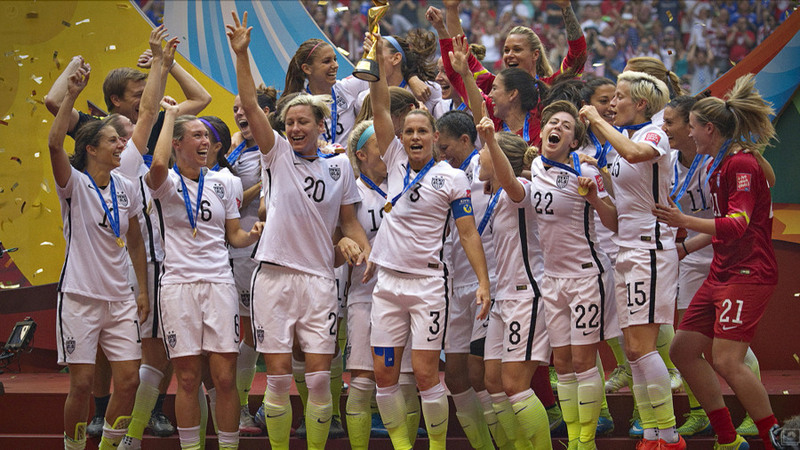 The new deal is expected to cover a five-year period that includes both the 2019 FIFA Women's World Cup in France and the 2020 Olympics in Tokyo. "I am incredibly proud of this team and the commitment we have shown through this entire process," said national team midfielder Megan Rapinoe. "While I think there is still much progress to be made for us and for women more broadly, I think the [Women's National Team Players Association] should be very proud of this deal and feel empowered moving forward." The U.S. soccer world can relax now. Our best team will keep on playing now that the CBA has been restructured in a way both sides can agree upon. You had to see this coming, because it was only a week or two ago that the U.S. Women's hockey team also worked out a new deal for better compensation and overall structure of the program. Plus anytime Megan Rapinoe is more on board with an idea than off of it, you're making some good progress. This is a step in the right direction for women's top national teams. Yes, the truth hurts and we all know men's sports are much more popular in general to watch. The women though are usually our best teams and have won the gold and world cups for soccer, hockey, and softball multiple times more than any of the men. Therefore, it's time to pay for their play. This would be like Wayne Gretzky or Michael Jordan making 50k a year for their entire career. It's insane to think their talents and accomplishments would equal so little pay. That's exactly what has happened in the world of womens sports on the national team level. Hopefully this deal marks the end of players and organizations having issues in the realm of payment and treatment, because these women are amazing athletes with a long list of accomplishments and need to be treated as such.